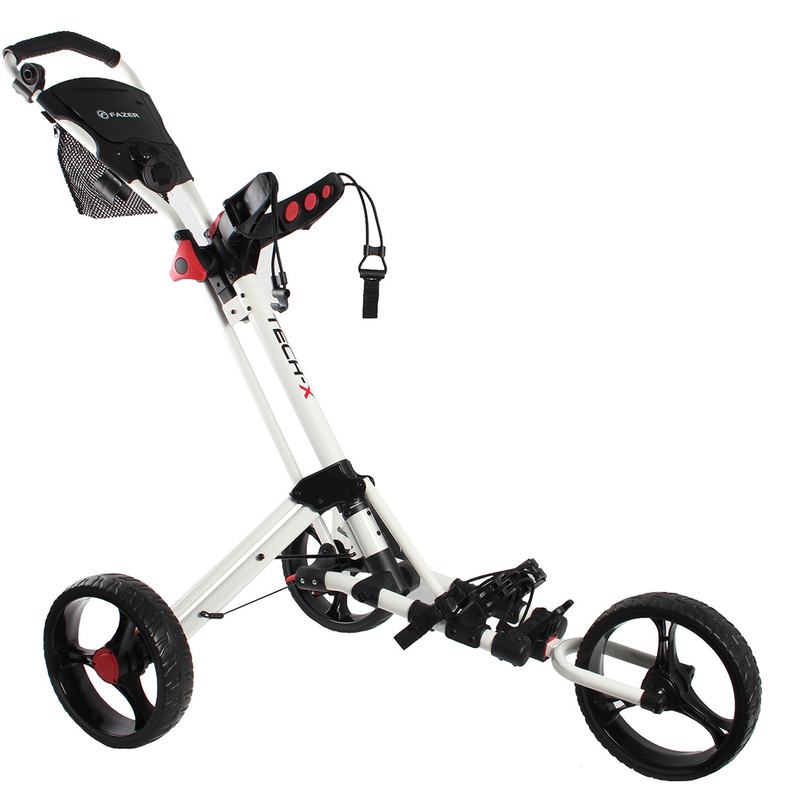 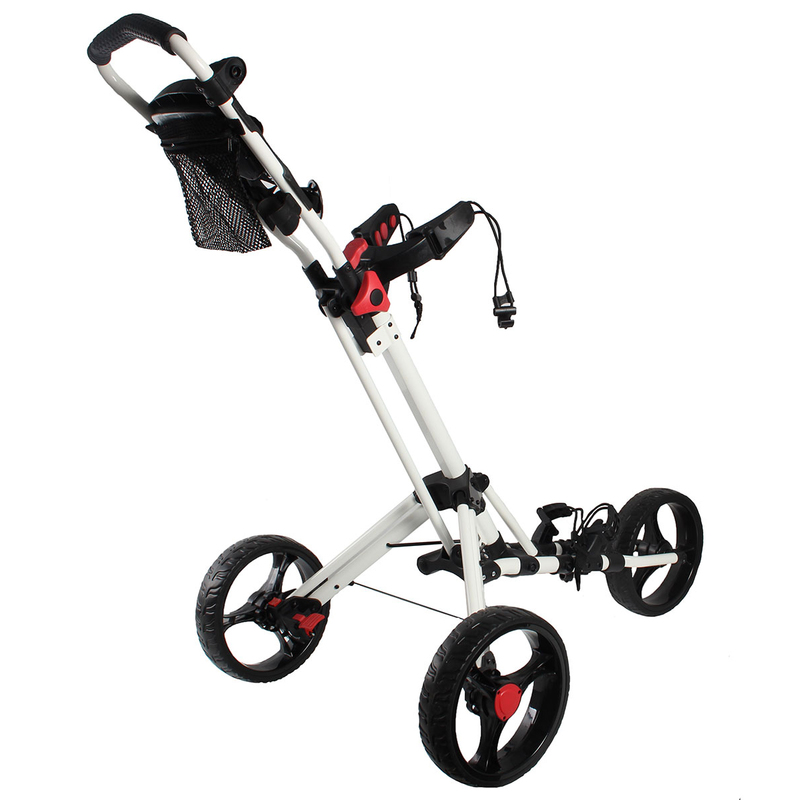 The extremely durable and practical 6.0 push trolley provides a pleasant round of golf. 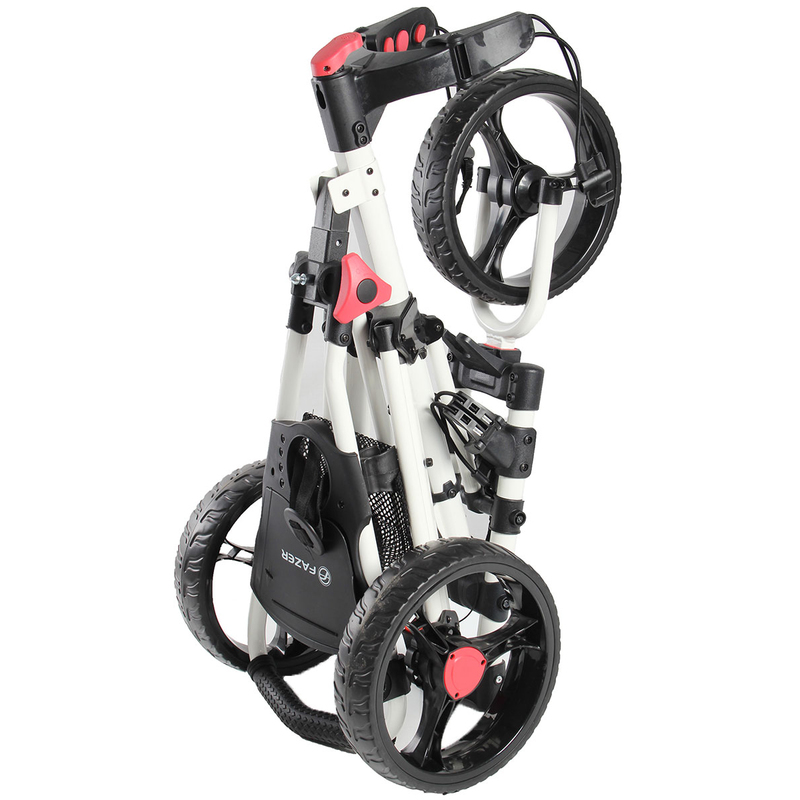 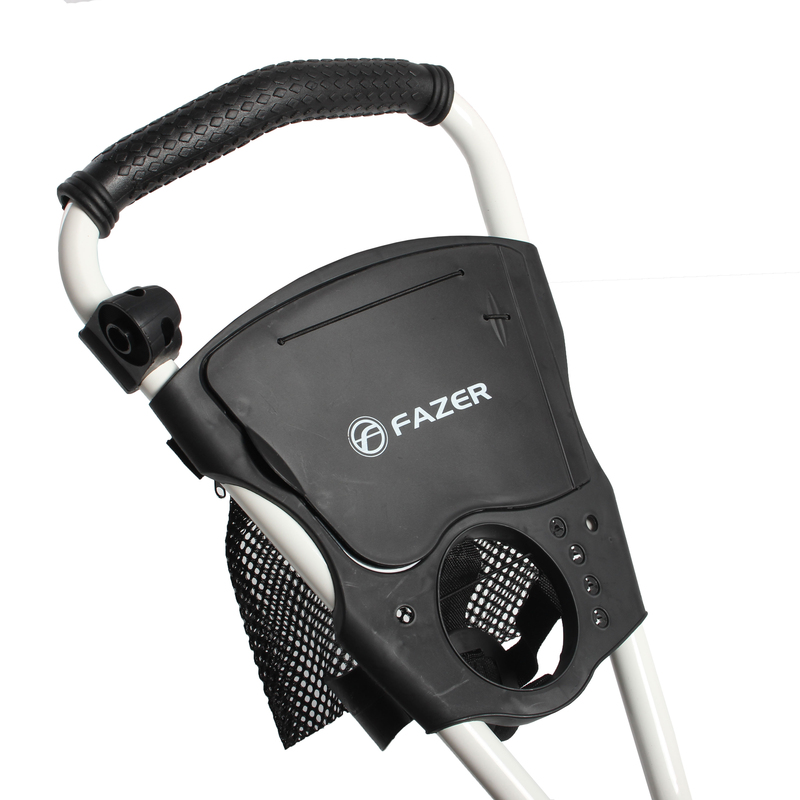 This trolley has lots of standard features which include a rubberised multi position grip handle, umbrella holder attachment, accessory tray with magnetic closure and tee & golf ball holders. 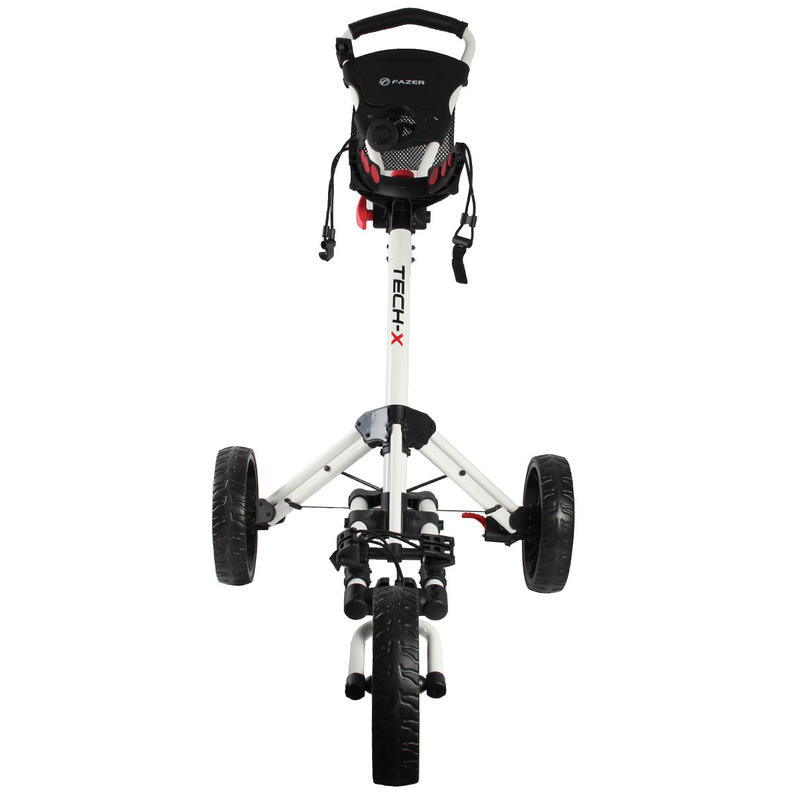 Plus an underneath mesh accessory pocket, drinks holder and foot park brake which is perfect for using on steep hills or downslopes. 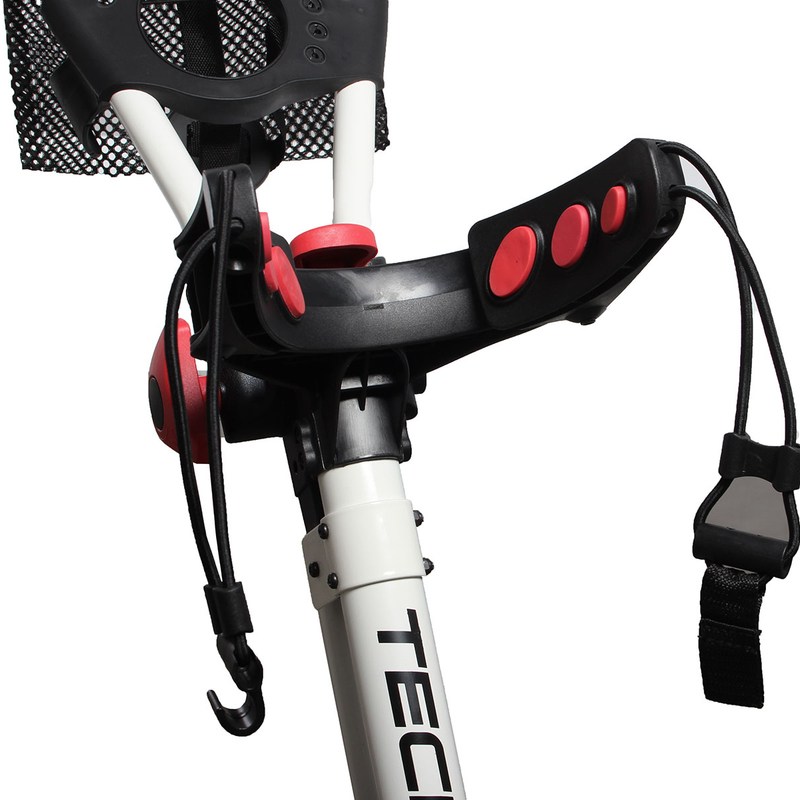 For ease of use the trolley has top and bottom bungee cord strap attachments, and has rubberised adjustable mounts to secure any size bag. 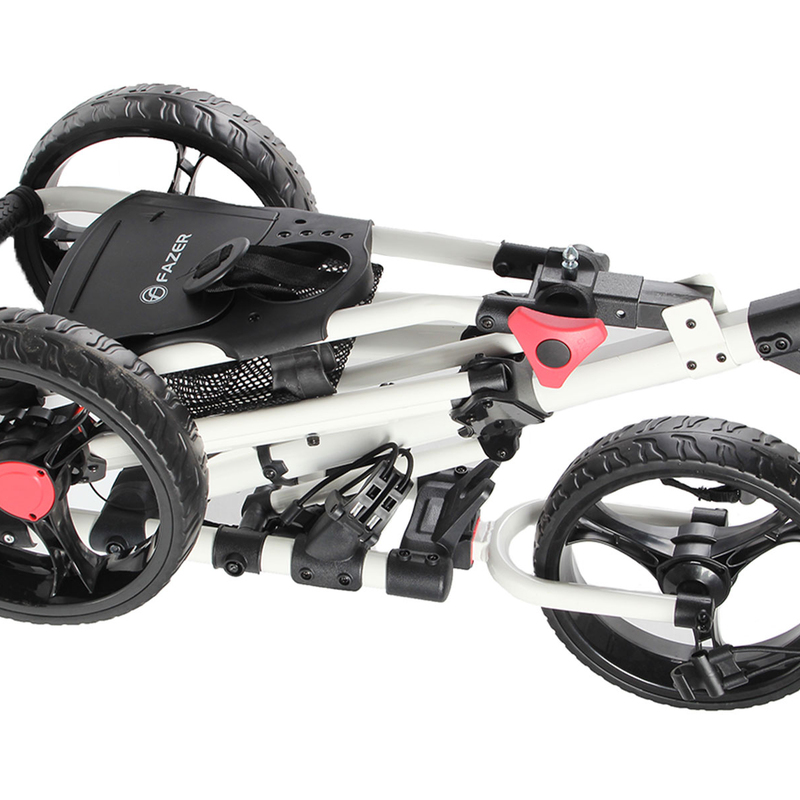 To give a more appeal the trolley has 3 removable sports wheels for easy cleaning, plus can be folded down in one simple motion into the tightest of spaces.